Soho Hospital in Belleville N.J.
Essex County Executive Nicholas Amato said that whatever development takes place on the 35 acre site of the former Essex County Geriatrics Center at Belleville and Franklin Aves., it will address the need for senior citizen housing. Amato said Friday that rumors circulating about the conversion of the facility, previously known as the Essex County Isolation Hospital, are "totally without merit." The site will not be used for a drug rehabilitation center or a jail, he said, especially because of its location across from School 10. What will become of the site, Amato said, is "restricted only by our own imagination." He said, there are "many, many options," and the development will be handled in a "delicate way with no adverse impact on the community." Amato said, the community cries out for senior citizen needs. Their housing and health care must be addressed, and the seniors must not be forgotten, he said. 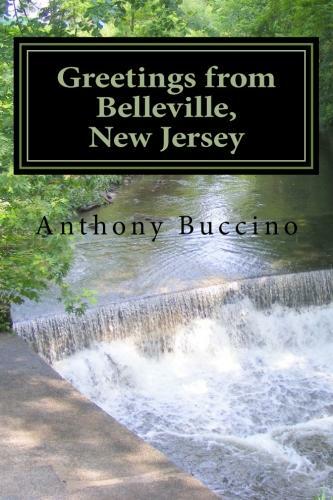 Belleville will now be able to address senior citizen housing, Amato said. It's not a political issue, it's a people issue. We have to try to help people. 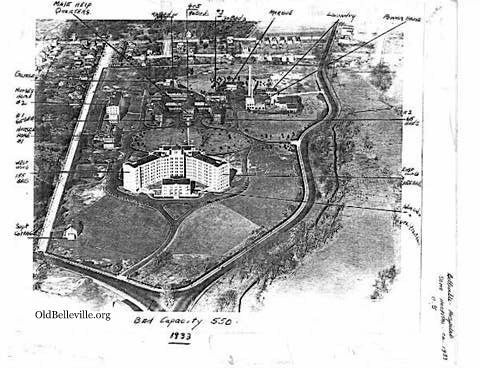 Belleville is one of the last townships in the county to provide senior housing. "What other use is more appropriate?" He said, pointing out the area around the country property. 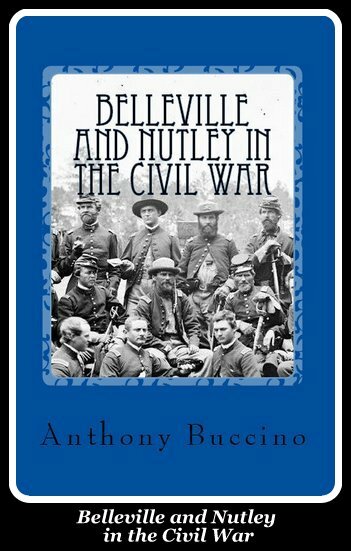 Belleville's fire headquarters is located on the site." County operated Hendricks Field Golf Course "is across the street – that's being renovated now, Belleville and Branch Brook parks are diagonal. The site is just minutes from both Mountainside Hospital and Clara Maas Medical Center. The site is also convenient to the [Newark] City Subway, the Garden State Parkway and area shopping centers. "Whatever develops will include senior citizen housing, possibly a complex and a recreation center," Amato said. The county administration is taking a strong look at the idea of senior health care" in the form of a continuing health care center incorporated into the site. Amato would like to look at the development as part of a total senior citizen complex, from health care to housing. The Community Mental Health Services operation will stay intact, Amato said. I may not remain in the building it is in. Funding for development of the property will depend on which proposal is developed, Amato said. It may come entirely from the private sector developer. Amato said the county will have a strong say in what goes who goes and how it is done. It may be a contracted arrangement between the county and a private developer. Amato said, whatever it is it will be the result to turn out right. The original building was built in 1905 and the large familiar structure in front was opened in 1932. 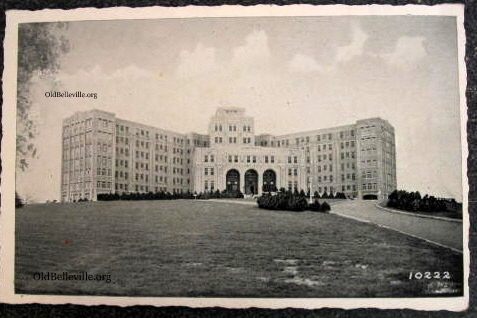 It served as an isolation hospital until it was converted to a geriatric center in 1970. The main building is separated physically by two towers into east and west wings. Amato said the facility was cost inefficient. It had no air conditioning, and was cold in winter and hot in the summer. There was no water pressure to reach the top floors. And because the building was built for isolation, it was life threatening to non-ambulatory patients. The building has only one central elevator. The Essex County Geriatrics Center was relocated to the newly renovated Wright Pavilion in Cedar Grove Dec. 11 to 14. The county moved 211 patients "without a hitch." The county was able to consolidate the whole staff onto the 325-acre complex. The move increased the nursing ratio to patients when they went from 13 wards in different buildings to four wards all on one floor. At this time, the laundry operation is the only remnant of the geriatrics center. Photos various postcards and online searches. Northwest aerial view of hospital area. Buildings at left were replaced by condominiums and the main structure is undergoing renovation as of 2016. In the 26 years since the above story was written, the facility was converted into a cancer research center, and the old buildings were torn down to build housing. The research center folded up and the county sold the property to a developer which is converting the large building on the grounds to housing. 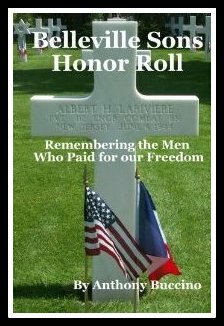 For more information, click on the links below. 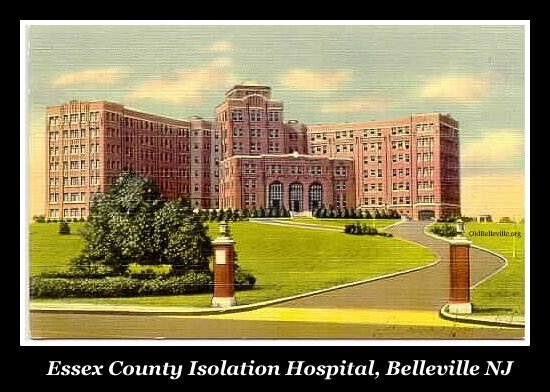 A Beautiful Mind was partially filmed in Belleville, N.J., at the former Essex County Isolation Hospital, aka Soho Hospital. Soho was believed to be derived from iSOlation HOspital. A 1906 map shows the general area as Soho Park and Land Improvement Co. and the Essex County Isolation Hospital plot where it is known today. South Soho Station was compared as the smallest actively-used train station in the state of New Jersey and according to Mueller's Atlas of Essex County, shows no station at all. This structure consisted of 4 pieces of wooden paneling for a roof and wooden platform below to protect passengers from getting in the mud around a tree. It was called "Mushroom Stop at Soho" because of its mushroom style design was located at the dead end of Mill Street in Belleville Park (now Branch Brook Park) in Belleville. Soho, along with nearby Soho Park/Belwood Park Station, served 19 daily trains. Soho station, unlike nearby Soho Park station, obviously had no ticket agent.